Protecting your images online is compulsory. 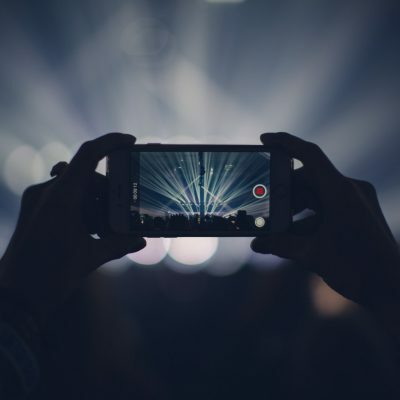 Whether you’re a photographer, a blogger, a large organization or a regular social media user you need to make sure others aren’t downloading and using your original photos for free. Why should they receive the credit for your hard work? One of the best ways to protect your online photos is to watermark them. By adding your website, company’s name, logo or signature into the images uploaded online, you basically mark them as your property and explicitly state that they can’t be copied without your prior authorization. 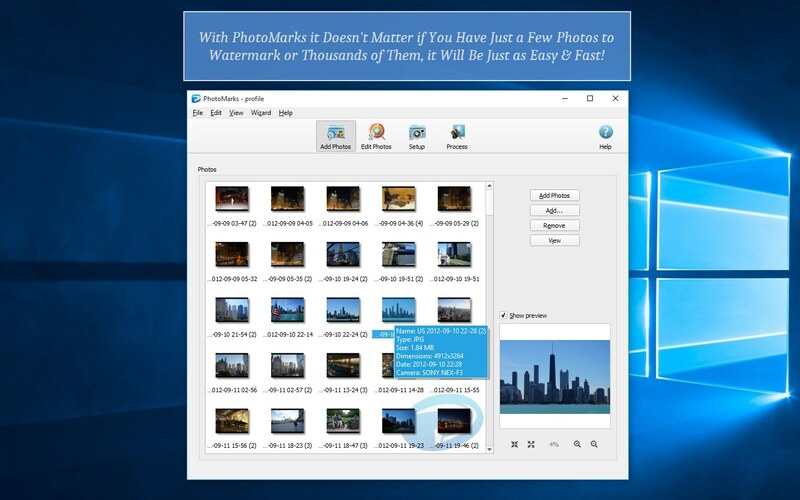 PhotoMarks is a Windows app for watermarking images in bulk. In addition to the batch processing feature, the great part about this app is its ease of use. The interface is intuitive and easy to navigate and therefore will help you accomplish your tasks quickly and efficiently. The process is simple: add your photos, apply the watermark and choose your output format and folder. As easy as ABC. PhotoMarks gives you the possibility to add text and logo watermarks to your images and fully customize them to your liking. The multiple customization options offer pixel-perfect placement, adjusting the scale and rotation, applying a tile mode, tweaking the transparency, choosing from a wide range of fonts and colors, as well as applying special effects like stroke and shadow. To make your job easier, the app offers previews for every edit you make. In order to help you boost productivity, PhotoMarks allows you to save your settings as Profiles and use them later. Besides watermarking, the app is also designed to convert, rename, auto rotate or resize multiple photos at once. 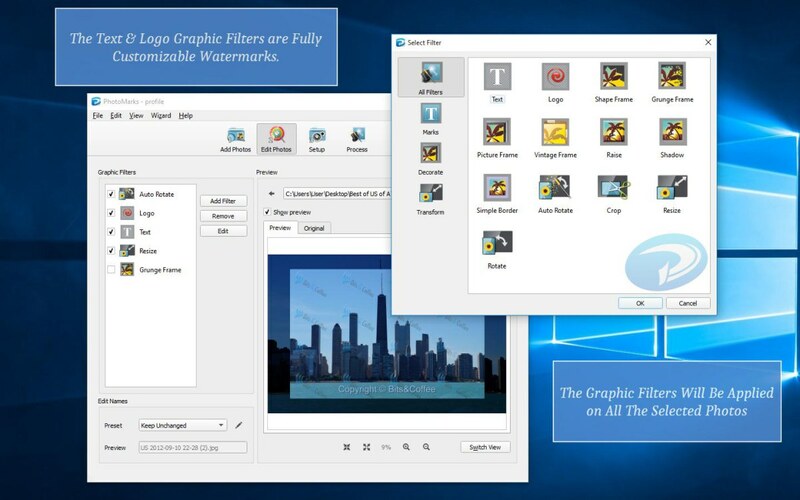 You can even graphically decorate your photos with frames and borders. Once the editing part is complete you can choose to upload your images to FTP or Flickr or send them via email. PhotoMarks also comes with a mobile version for iPhone if you need to watermark images on the go. If you want to protect your intellectual property from being stolen, iWatermark Pro is definitely worth a try. 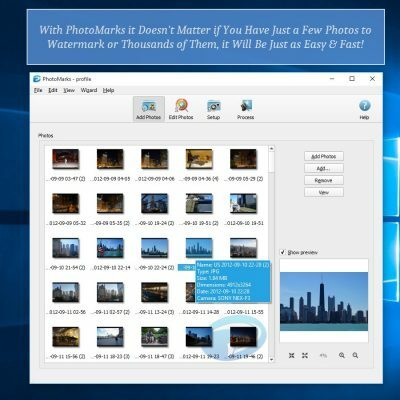 This Windows app lets you watermark multiple files (both photos and videos) at the same time and places at your disposal 11 types of watermarks to choose from (both visible and invisible). These include any type of text, logo, signature or QR code. 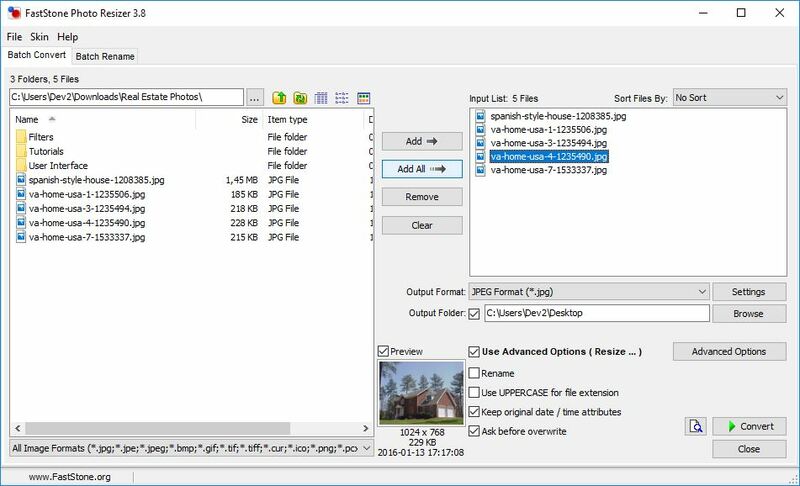 If you prefer invisible watermarks, you can add personal information to the IPTC part of the file or a StegoMark which embeds personal information into the image data itself. iWatermark lets you play around with your watermarks and customize them to meet your requirements. You can position, rotate and scale them how you prefer, set the opacity, select from numerous fonts and colors or apply special effects like emboss or shadow. When you’re done you can directly share your copyrighted pictures on popular social networks like Facebook and Twitter or send them via email. If the features are abundant and quite useful, the interface leaves a lot to be desired. If you’re expecting a user-friendly experience when running iWatermark, you’ve got another thing coming. The structure is rather complicated and therefore it will take you some time to understand how everything works. 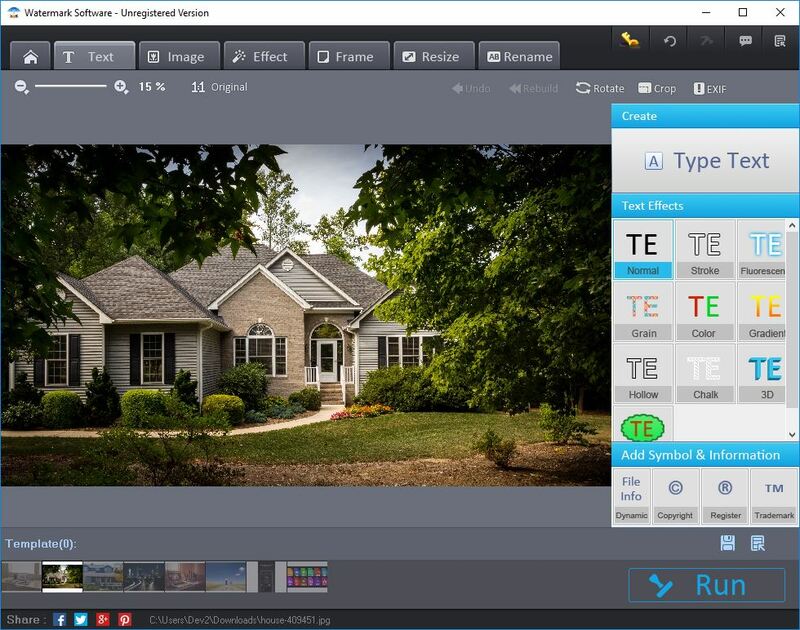 Watermark Software prides itself on being able to watermark 300 photos in 1 minute. The app is pretty easy to use thanks to the simple interface and requires little time for acquaintance. There are three clear steps you need to follow: load your photos, add your watermark and select the destination folder. That’s all there is to it. Watermark Software allows you to add QR codes, various texts and logo marks and edit them how you want. You can easily change their placement and size, rotate them, adjust the opacity and more. Besides helping you protect your photos, the app comes with other useful features like crop, rotate, resize or rename in bulk. If you’re into retouching images, there are plenty of special effects you can apply to your pictures. Among them, black and white, invert, sketch, aged photo, blur or retro. Once you’ve finished editing you can save the new images on your computer or upload them to your website via FTP. 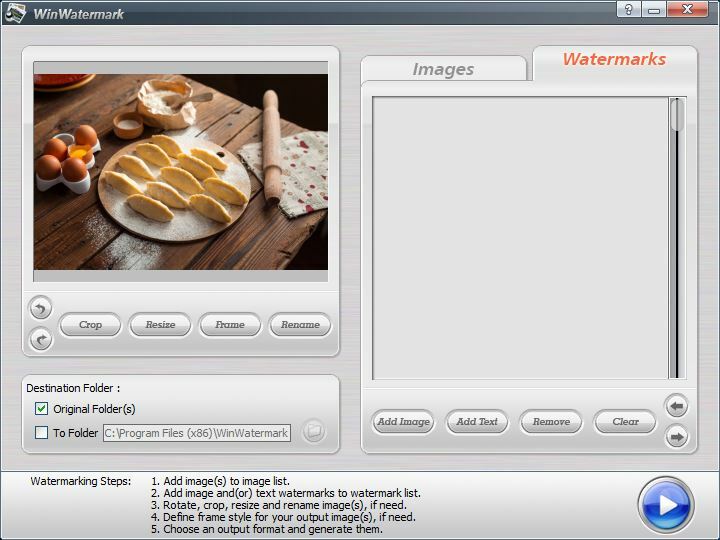 Arclab Watermark Studio is a tool for PC users particularly designed to ensure digital photo protection. It comes with a clean, user-friendly interface, with large previews for every step of the process. 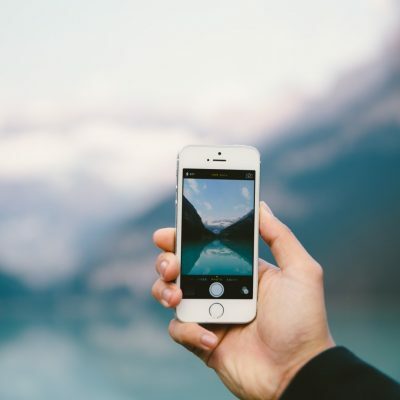 With this app you can add text and image watermarks, as well as insert various EXIF metadata, such as the date and time or GPS location, into your photos in batch mode. When it comes to customizing your watermarks, Arclab Watermark Studio lets you choose the preferred size, color and font or set the transparency. You can also adjust the placement of the watermark, but there’s no drag and drop option unfortunately. You’ll have to select one of the numerous predefined positions. Additionally the app allows you to resize and convert images, as well as create thumbnails. Unfortunately there’s no option to upload images to FTP or social networks. 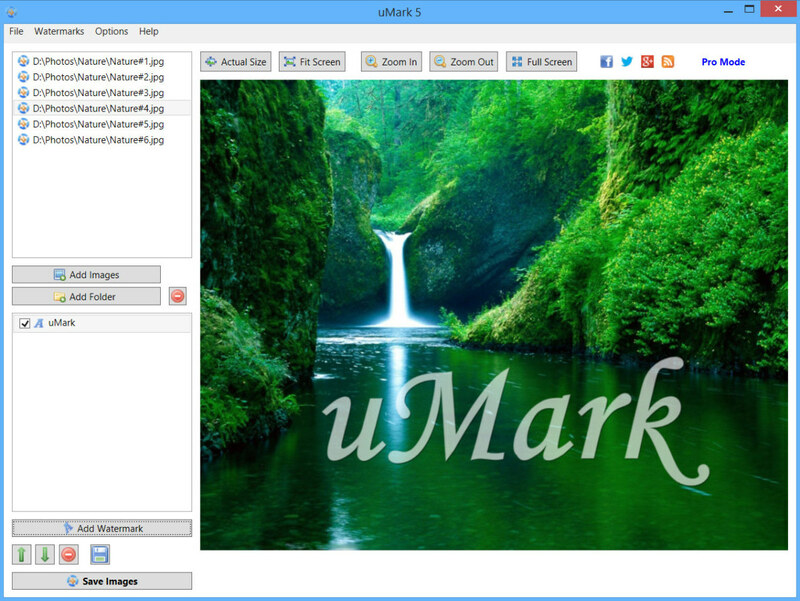 uMark is a Windows watermark app worth trying if you’re looking to claim ownership of your photos. This app is fairly easy to use and allows you to protect your images by adding numerous types of watermarks: text, logo, metadata, QR codes or different shapes which you can fill with solid or gradient colors. 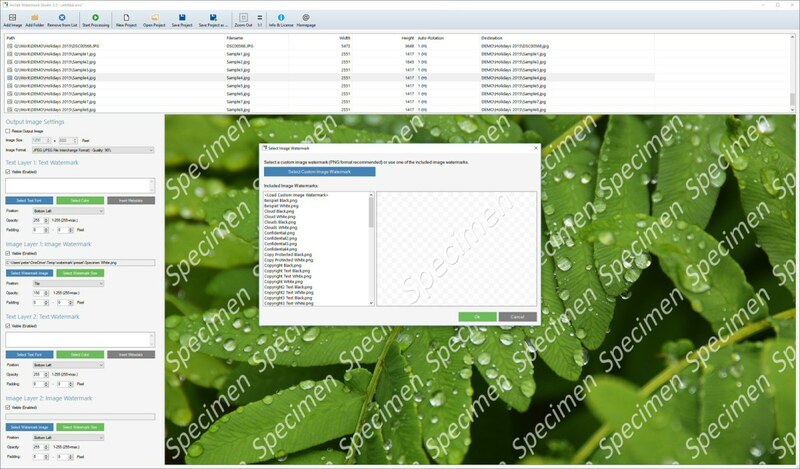 All the watermarks are fully customizable, which means you can choose the font, color, size and style, set the transparency level or move and rotate them in any direction. There’s even a tile mode option available if you’d like to cover the entire images. 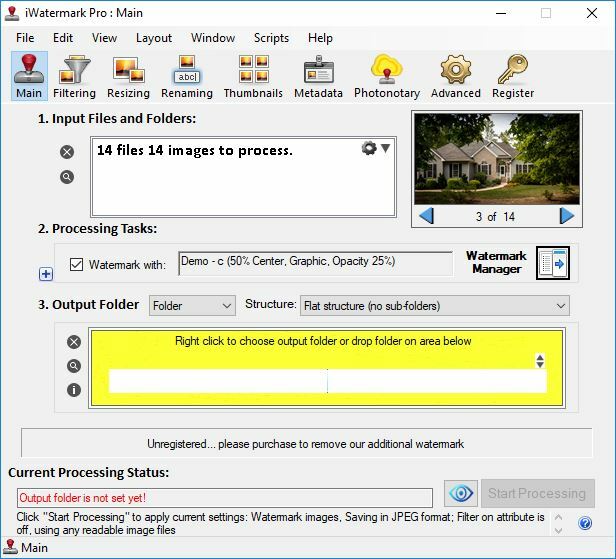 To increase your efficiency, uMark offers you the possibility to save your watermarks and easily use them in another session without going through the same process. If you want to add something extra to your pictures, you can add a border or apply a shadow effect. IrfanView is much more than a simple image viewer. With this tool you can perform a wide range of operations to optimize and retouch your images, including adding a watermark. Of course, the process isn’t as simple and straightforward as it would be using a standard watermark tool, but it will get the job done. Here are the steps you need to follow once you’ve opened the program. Go to File > Batch Conversion/Rename. Next, in the Look In section, select the targeted folder and press the Add all button. Then check the “Use advanced options (for bulk resize…)” option, available on the top left corner, and click on Advanced. Now, in the new dialogue box, there are two options available to add text and logo: Add overlay text and Add watermark image. You can then customize your text or logo by clicking on Settings and choosing the position, color, font, size or transparency. 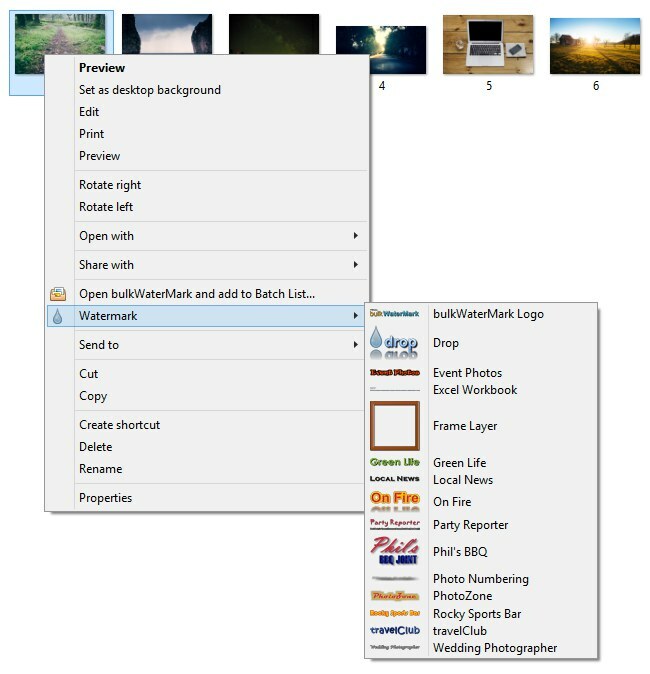 bulkWaterMark is another classic watermark app for Windows users. The tool promises to make the watermarking process truly easy, thanks to the three-step wizard: select your watermark, add your images and then click on the Drop button and just let the program process them. 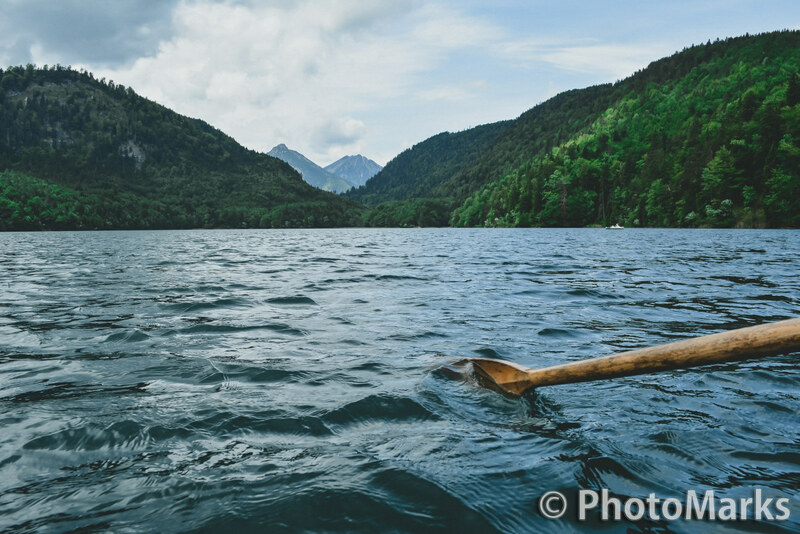 bulkWaterMark makes your job even easier once you’ve created your watermark templates. 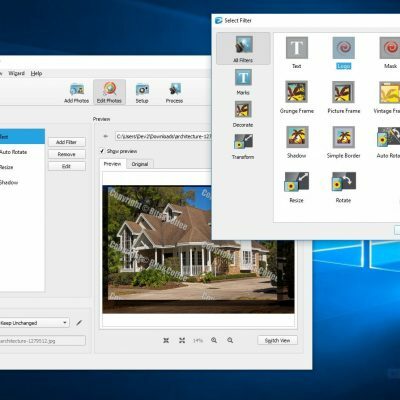 From that point on you don’t even need to open it every time you want to protect your pictures, since the tool offers you the opportunity to watermark images from the Windows Explorer contextual menu. All you have to do is open the folder with your pictures, select them, right click and select Watermark and the desired template. 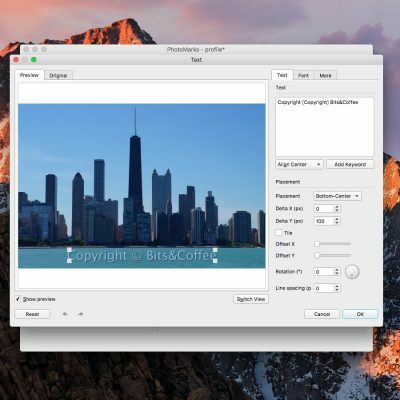 FastStone Photo Resizer is another option PC users should take into consideration for image protection. The tool comes with a simply-designed interface and it’s rather easy to use. All you have to do is add your files and then click on the Advanced Options button on the bottom right corner. You can add text and logo marks and edit them to your preferences. This means you can play around with settings like position and scale, font, color and size or opacity. 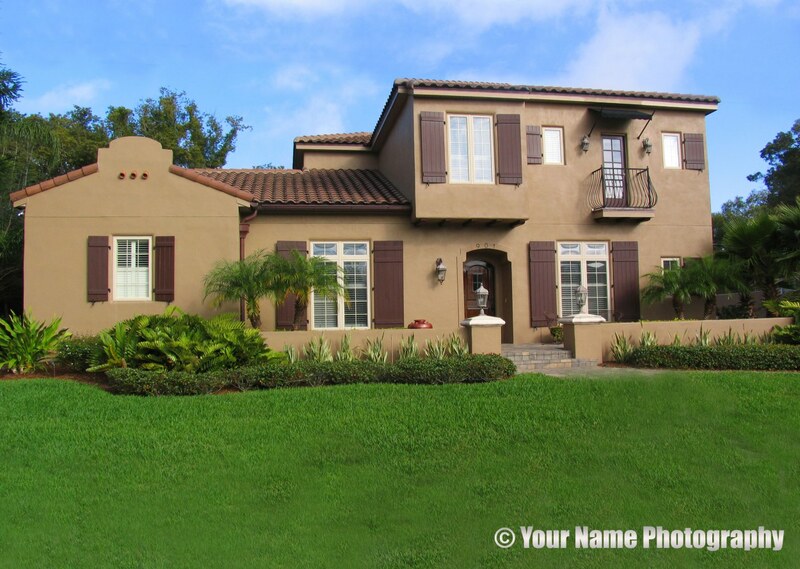 FastStone Photo Resizer also offers a before and after option, so you’ll be able to see the changes made. 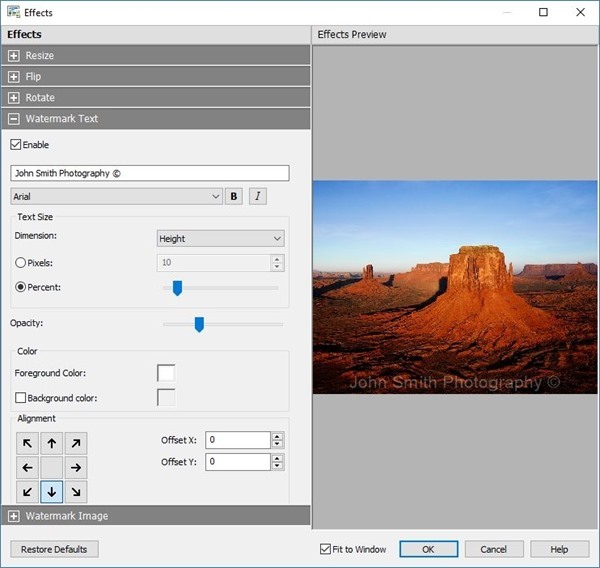 Besides watermarking, the program can help you resize, crop, rotate multiple images at once, as well as improve the overall aspect of your photos by tweaking the brightness, contrast or saturation. Don’t let the name fool you. 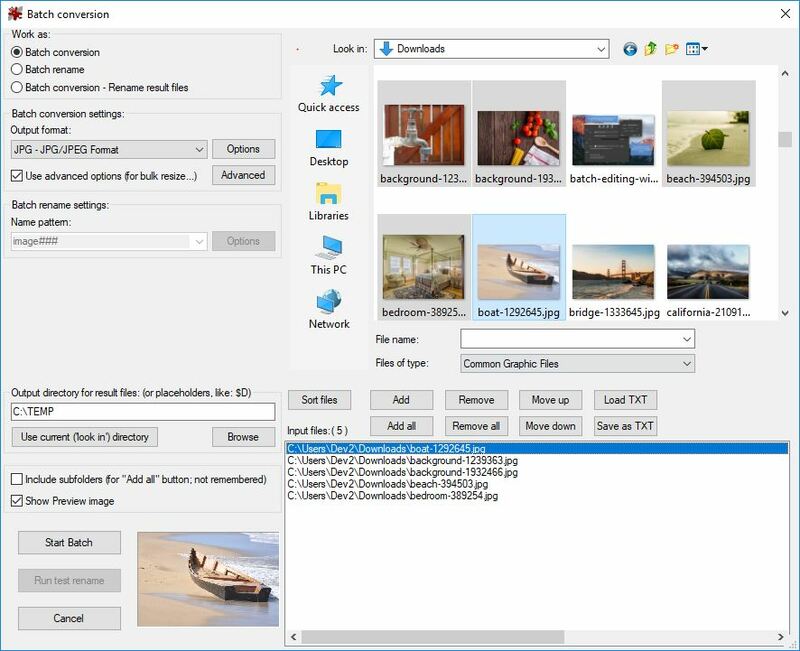 Pixillion Image Converter doesn’t just help you convert images to various formats, it can do other stuff like resizing, flipping, rotating and of course watermarking images. The process is pretty straightforward: you add your files and then click on the Effects button, located on the bottom center of the main dashboard. In the new dialogue box just scroll down until you encounter the Watermark Text and Image options. Next just add your preferred type of watermark and begin customizing it with regard to size, opacity, color, font and more. The only downside is that you can’t move around the watermark freely using your mouse. In order to position it you need to select a predefined location and then enter the desired offset value. WinWatermark is a basic tool which you can use to deter others from stealing your content. It does allow you to watermark multiple photos at once, but the interface is definitely a let-down, outdated and baffling at times. You can add both text and logo marks and make certain changes to the font, size, color or opacity. You can also adjust the alignment, but not freely, rather using a preset position. If you want to optimize your images prior processing, you can crop and resize them, as well as add a frame around them.